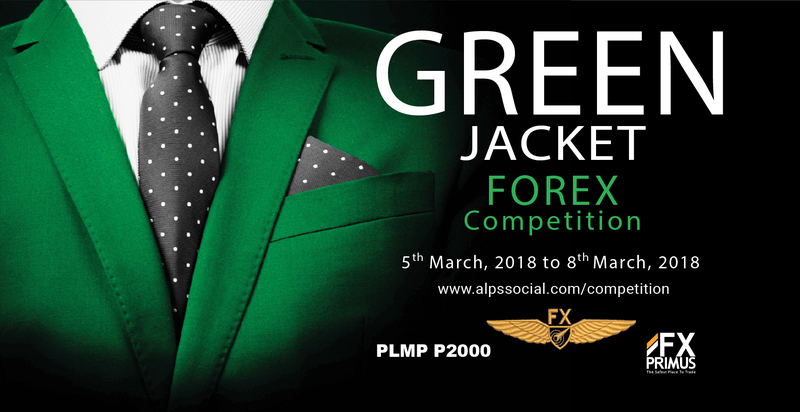 If you are interested in Forex trading or keen for a challenge, then this competition is for you! learn more about Forex trading and compete with other and win attractive prizes. The one with the highest profits wins! FXPRIMUS is one of the most secure online trading environments available anywhere in the forex industry. our counterparts in the FX industry. The participant with the highest Realised Profit wins. The Realised Profit represents the actual trading profit of the user. 1) Each participant would be given a virtual account with US$20,000. 2) Ranking is based on the user’s total Realised Profits. 3) If there are 2 or more participants with the same Realised Profits, they will be ranked according to their winning rate and average return for each trade. 4) There would be three winners for participants residing in Singapore as well as one overall winner for participants residing outside Singapore. 5) All prizes will be in the form of Trading credits. Participants can check the top trades and their own ranking based on their Realised Profits. The ranking will be updated on the AlpsSocial Competition site. 1.  The Competition period is from 5th March 2018 to 8th March 2018. 2. This Competition is based on Demo-account trading on MT4 and not linked with any live-trading accounts. 3. Participants must publish their trade journals for each trade. Participants would be awarded points for every trade journal published which would go towards their ranking points. 5. Every participant is assigned to a demo account of US$20,000. Minimum trading volume is 1 lot. No mini/micro lots trading allowed. 6. Participants have the option to trade any of the 9 instruments which include S&P500, GBPUSD, EURJPY, EURUSD, GBPJPY, EURAUD, GBPAUD, Gold & Ether listed on the platform. 7. Participants are to close their positions 23:59 (SGT) on 8th March 2018. Any open positions would be closed to facilitate the calculation of the final score and ranking of the Participants. 8. Trading using EAs, Signals and Copy Trading are not allowed in this competition. Participants may face disqualification from the competition. 9. Participants whose Margin Level fell below 80% will result in disqualification. 10. Participants may enter a long and short trade on the same pairing at any time. 11. Each participant shall not engage or permit a third party to compete on his/her behalf. 12. By entering the Competition, all participants will be deemed to have consented to receiving mailers, promotional materials or other documents provided by PLMP P2000 and AlpsSocial. Such documents will be sent directly by PLMP P2000 or AlpsSocial without disclosure of the participants’ particulars to non-affiliated third parties. 13. The use of any inappropriate language and/or images during the Competition is strictly prohibited. Such participants (“Defaulting Participant”) shall be immediately disqualified and his/her account shall at the discretion of the organizers, AlpsSocial and PLMP P2000, be suspended and/or terminated without notice to such Defaulting Participant. 14. All decisions made by the organizers, PLMP P2000 and AlpsSocial, are final. This Competition is open to all. Any persons who wish to participate in this competition must first register for this Competition. 1. Employees of PLMP P2000 and AlpsSocial. 2. Immediate family members of Employees at PLMP P2000 and AlpsSocial. 1. To register for this Competition, applications must fill up the online registration form found at https://www.alpssocial.com/competition. Registration will start from 1st Jan 2018 till 28th Feb 2018. Any other forms of registration are strictly not allowed. 2. Applicants would be registered as participants of the Competition once all documents are verified and approved. 3. Applicants can only register once. 4. After the participant’s registration is approved, the participants will receive a confirmation email with their login details within 2 business working days. Should any participant not receive your login details, please write an email to eunicewong@plmp-fintech.com.sg for assistance. 5. Participants found to be ineligible for any reasons will be disqualified and barred from this Competition at PLMP P2000 and AlpsSocial discretion. 1. Participants who qualify for the final competition will be determined by 23:59 (SGT) on 6th March 2018 (min 10 closed trades). 2. Prize winners for this Competition will be determined by 23:59 (SGT) 9th March 2018. Thereafter, they will be notified by email or phone. Names of the prize winners will also be published on the AlpsSocial Website. 3. There will be two categories of winners; Local and overseas prizes. Local: 1st prize, US$3K, 2nd prize, US$2K, 3rd prize, US$1K. Overseas: Top winner, US$3K (Prizes will be issued in the form of trading credits in their accounts and winners will be able to withdraw profits from their winning trades). 4. PLMP P2000 reserves all rights to substitute the current prizes with another of equivalent value and amend any terms and conditions without any prior notification. In the event when there is a dispute on the interpretation of any terms and conditions, PLMP2000’s decision is final. 5. By participating in this Competition, the applicant agrees that PLMP2000/AlpsSocial may disclose his or her name and photos of the prize collection for publicity purpose. The applicant also agrees that PLMP2000/Alpssocial can disclose his or her your profit/loss, trading volumes, markets traded or any other information in connection to this Competition. 6. The prize presentation ceremony will be held on 9th March 2018. 7. Ranking is based on the user’s total Realised Profits. 8. If there are 2 or more participants with the same Realised Profits, they will be ranked according to their winning rate based on count back system. The decision by the organiser will be final. Alpssocial is a Financial Social Network that connects all traders to one another and allow everyone to share their personal views and trade insights in the financial world in groups or with each other easily. We do not verify or endorse any views represented in this site, and we ask that you carefully weigh the opinions and information gathered from this site and perform due diligence on your own financial portfolio. As a cautionary note, please also do not overleverage and manage your risk well at all times. In some brokerages, losses can exceed your initial deposits and you are liable for all losses and debits in your account.